Zac Gorman is a beast. 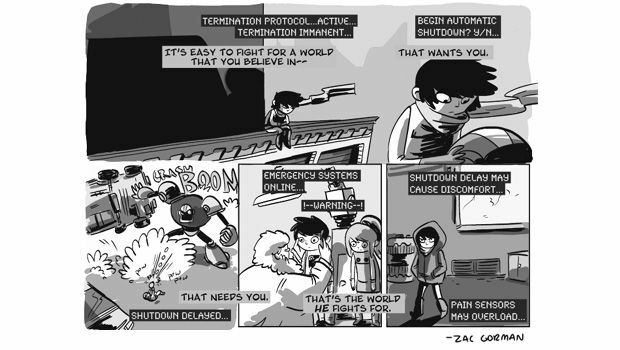 His website, Magical Game Time, is a collection of standalone art pieces and one-shot comic strips that explore the more thought-provoking, introspective side of videogames. 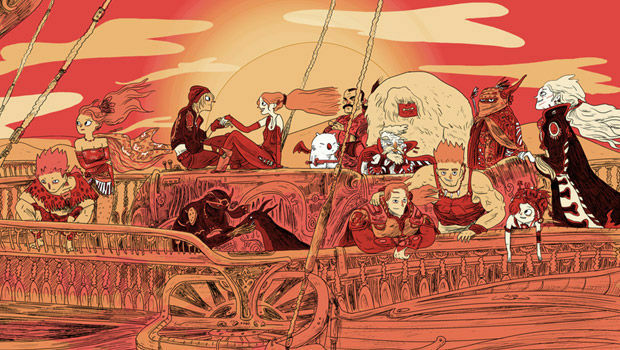 His art stirs up all these old feelings of happiness and heartbreak, serving as examples of the very real connections we've formed with our favorite heroes and heroines. Most of all, his art reminds us that, sometimes, the best lessons and experiences are the ones we discover on our own, not explicitly via the design of the creators. On top of that, Zac has contributed to various art projects, such as the Zelda Zine indie magazine and the Pokémon: Battle Royale art exhibit. 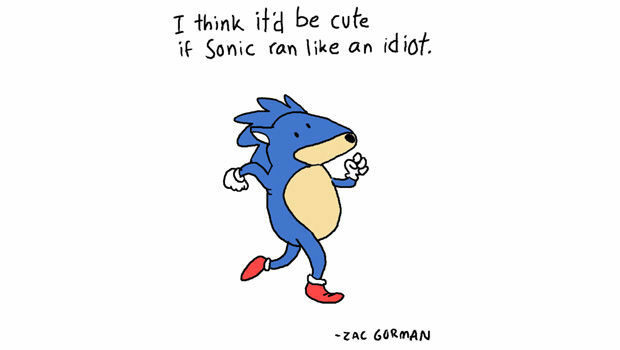 He also kicked off the hilarious Dumb Running Sonic meme, in which various artists create progressively more ridiculous running animations for the Blue Blur. The man gets around -- there's such tangible emotion in even his simplest cartoons that anyone can relate to them. Being able to share his love of the games of his youth, as well as earn a decent bit of money doing so, is something we'd all like to emulate. To that end, I wanted to chat with him and just have a good ol' love fest. We just gotta spread those good vibrations, ya know? Don't you love the current state of internet art circles? Beats the hell out of the days when it was just friggin' deviantART, doesn't it? I do. I used to have a deviantART account back in the day, though. That was my first real foray into the internet art community thing. I really hope nobody looks that up, though. Some real embarrassing work on there. Ha ha ha ha! Now I definitely have to do that! I can't bring myself to take it down. I'm not sure why. Oh, yeah. I guess it's sort of an interesting look back into how awful I used to be. I'm not a very private person. Not that it's really even an option anymore. C'mon! This Krang is amazing! I don't know what you're talking about! I was very experimental back then. You can really feel how desperate I was to find a style. 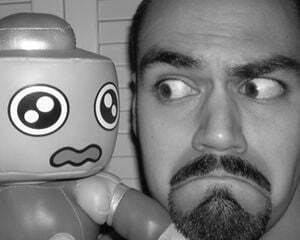 I was really obsessed with guys like Skottie Young and Sean Galloway for a while there. They were all the rage when I had my dA account. 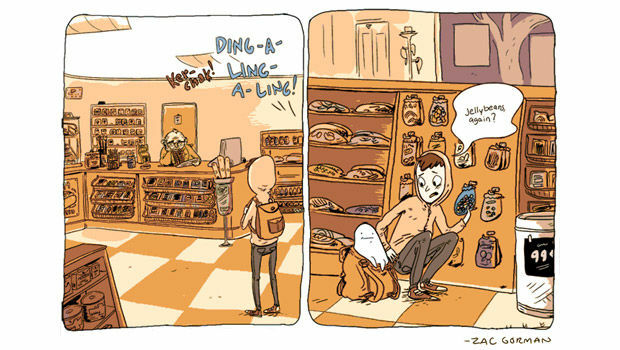 Now, I'm mostly stealing everything from French comic artists like Trondheim and Sfar, those sorta guys. They're French. This is Ah-MUH-rica! No one will catch on. You're in the clear. Ha ha, that's pretty much been my mindset all along! I just keep hoping that most people don't look at something like Donjon and realize that it's just a way more sophisticated version of what I'm doing. I don't hide my influences, though. I don't see a point. The idea of "style" is so nebulous and silly. As long as you're not tracing panels, you're going to leave your own imprint on whatever you do. People need to stop obsessing with this idea of "style." Yeah, we all borrow from one another. It's what we do with that knowledge that really defines ourselves. I get asked about that a lot, is why I mention it. Style, I mean. No worries. I was just joking with Ashley Davis the other day about how her art is starting to look like The Amazing World of Gumball. Ha! It really does! I met Ashley at PAX last year, she's awesome. I forgot that she wrote for you guys. 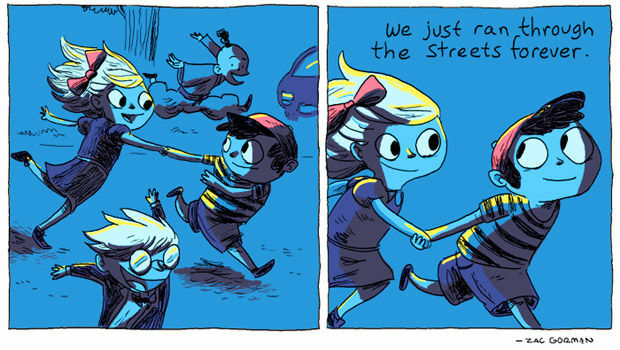 I feel like videogame comics / art / journalism stuff is such a small incestuous world... and I mean that in the best way possible. Everyone seems to know each other. You said it. But anyway, no matter where your style derives from, you've used it to do some wonderful things, I'll say. Thanks. I think a good part of it is just that I genuinely love my subject matter. The whole trick I think is just to be as genuine as possible. It always seems really obvious to me when I've forced something. It feels hollow. Or when I see somebody else who is faking it. Real diehard fandom is not an easy thing to phone in. All your EarthBound pieces can attest to that. I had a really weird relationship with EarthBound when I was younger. The first copy I played actually belonged to a friend of mine, but I fell in love right away. It took me another year or so to get a copy for myself (maybe waiting for my birthday or something, I'm not sure), but in the meanwhile, it really had stirred my imagination. That year or so, these little glimpses into the game that I'd gotten through playing with my friend or reading about in videogame magazines (this was pre-internet... well, for me at least) really kicked my imagination into overdrive. By the time I finally got it and played through it, start to finish, I felt like I'd already been involved with these characters for a year. I sadly have yet to play any of the Mother games myself, but everyone who has is so passionate about them. I do have the Fangamer Mother 3 Handbook, though. That's some love, right there. I actually don't, surprisingly enough. And I've been working with the Fangamer crew for a while now... maybe I should get them to send me one. I loved Mother 3! 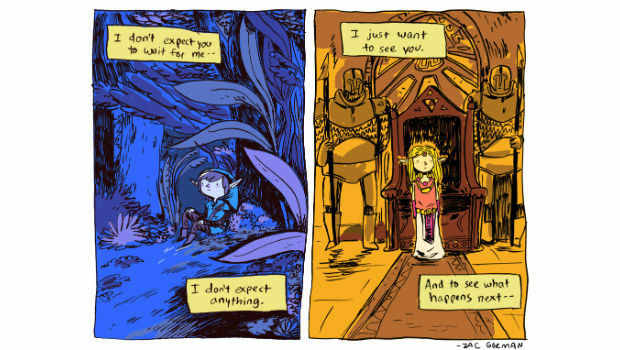 Those pieces, as well as pretty much most of the rest of your art, have this beautiful wistfulness about them. they are very touching and introspective; they make me feel "feelings." I guess that makes you an artist! Ha ha... yeah, that happens. It's kind of strange to me how I got into this very touching sort of work, when I'd always seen myself as more of a humor / dirty joke guy. 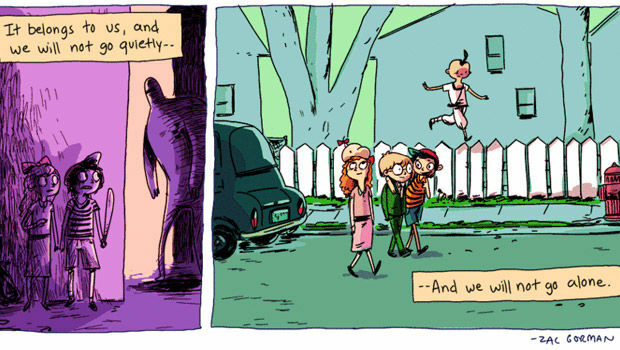 Instead, I'm more like a 90s nostalgia version of Bil Keane. If Bil Keane didn't make me want to punch a baby, sure. What I mean, I guess, is that it's a bit of strange territory to do comic strips, especially on the internet, without a punchy joke. The jokes come when they come. Sometimes, it's enough just to enjoy the shared moments and memories. Yeah, that's a part of it, for sure. That was a big part of how I got into this niche, doing what I'm doing now. I was thinking about my personal relationship with these games and realized that there are probably a lot of other people who could relate. It turns out there were. 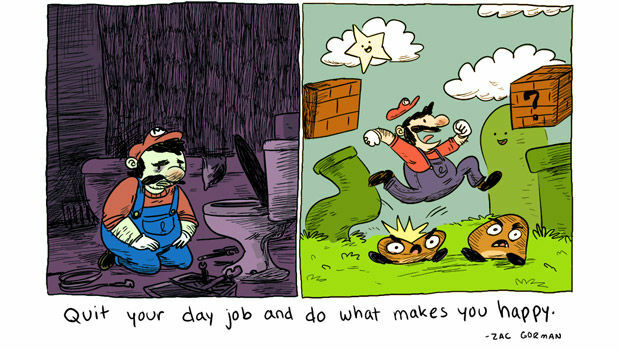 There are a lot of good messages in them, like the Mario strip about quitting your day job and doing what makes you happy. It's totally something we've all said, but it's so impactful to see it applied to an icon like Mario. You know, what was weird about that one is that I got some crap for that. There were some people who felt like it was a slight against people who work 9-to-5 jobs and don't have the freedom to just quit, people with families to support, etc. It kinda bummed me out to hear people get upset about it when it was intended to be a positive message about following your heart. But for every one negative comment, I got four or five emails from people telling me that they found it really inspiring, so you can't please all the people all the time, I guess. I know it might not work for everybody, but it's how I've lived my life. Which is why I wrote it. And I'm a pretty happy dude most of the time these days. Well, then you show those folks the Sabin suplex strip. That'll show them that you don't take crap from anyone! 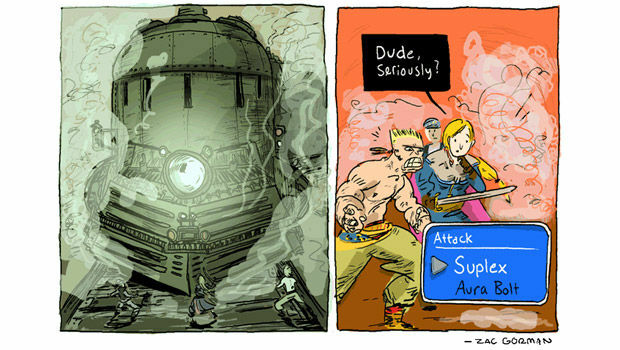 Man, I loved FFVI! What a game... Sabin was one of my favorites, too. He could suplex anything. Hey. HEY! Dumb Running Sonic... that totally became a thing. Wow. Yeah, it did! 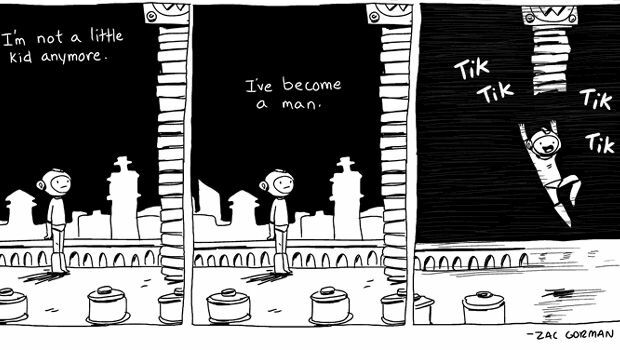 Really, it was all thanks to Anthony Clark (Nedroid) who did one himself and posted it on Twitter. That's what really got the ball rolling. How did you come about the original piece, anyway? What prompted you? It's so left-field. It was really just a warm-up piece. And it started out as me trying to make a GIF of Sonic running normally, but I screwed it up and thought it was really funny as is, so I posted it. It was really only because of my incompetence of run cycle animation that that came to be. I really enjoy animating, but I'm pretty terrible at it sometimes. Although occasionally, it's for the best, I suppose. Happy little accidents, as Bob Ross would say. It also demonstrated the power of the artist network on the web. Everyone just jumped on board and supported one another. It's really interesting how that stuff works out. You can't force it, you just have to be patient and keep putting work out there, keep interacting with people in a friendly way, and really cool things can happen. Has your art led to or do you think it'll lead to an actual game project in the future? Is that something you'd like to do, or are you satisfied from the spectator's perspective? Actually, I'm working on something right now, just by myself. It's rough at this point, just drawings and story ideas, but I've always wanted to be involved in actual game creation. I think it's always been one of those things in back of my mind. An itch I have to scratch. I'd love to be able to capture just a little bit of that magic that I took away from older games into a new realm, and hopefully, I can bring an interesting perspective to it. You know what genre you'd shoot for? RPG perhaps? I think that RPGs were really what captured my imagination as a kid, and so naturally, I'd love to work on something like that, only it would need to be rethought to work with the way that people play games now. Maybe something a little trimmed down, whatever that means. Regardless of what it was, story and mood would need to be paramount. How much would you say the spirit of the games you fell in love with relied on feeding you the stories versus allowing you to "fill in the blanks," so to speak? Yeah, that's something I definitely think about a lot. 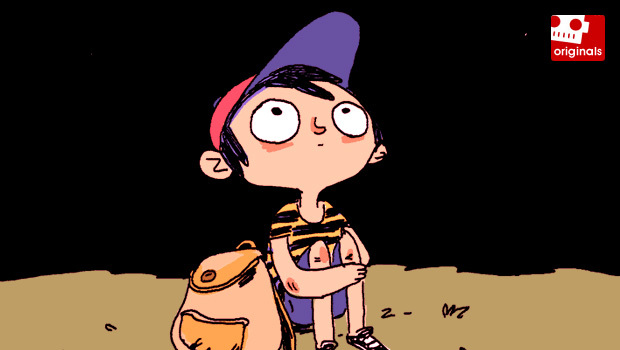 To go back to the Earthbound comment I made earlier, I think that one of the best parts of my experience with that game was how, before I even knew what the story was, I had dreamt up these adventures and relationships with the characters. I think that's where the real magic happens a lot with games. It's somewhere between the screen and the player, floating in that ill-defined space which is part you and part the game. I think it's important to find the balance. You're absolutely right. I haven't been following the RPG scene much since the PS2 days, but it's hard to miss the complaints. Just this morning, I received an email about this "Final Fantasy: The Era of Disappointment?" Facebook group. You know, something similar to the "Retake Mass Effect" movement. As much as I want to say gamers are an entitled bunch, in a way, the stories are as much their own as the developers'. Ha! Yeah, I think the problem of games' not respecting the player crosses a lot of different genres, but it does seem especially painful in respect to RPGs. I think it's because people are so emotionally attached to them. We are an entitled bunch, that's for sure, but I think that's a byproduct of the interaction we have with games. I don't blame us for feeling so connected to games, I think it's inevitable. And in most ways, it's a good thing. I agree. But some of those dudes are crazy. YOU'RE not crazy, are you? ... or anybody within earshot. Still, it's much better to spread love. Yeah, exactly. I mostly try to focus on the good, and there are a lot of good games out there.